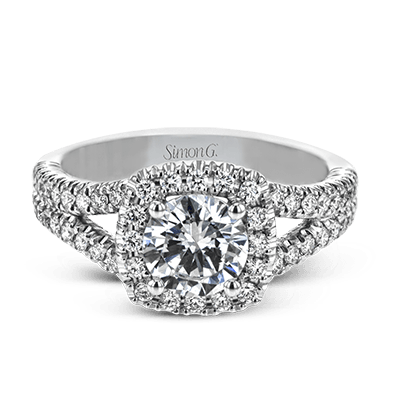 The Classic Romance Collection offers popular ring styles and diamond cuts that have symbolized love and commitment for many years. 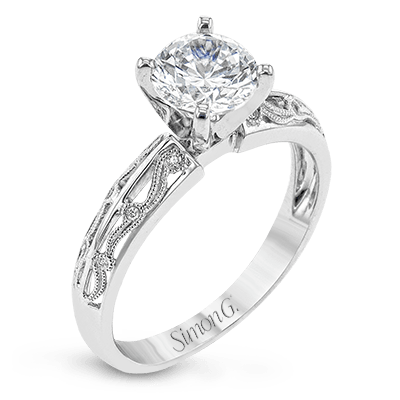 Some styles, like the solitaire, have held symbolic significance for countless people for even longer. 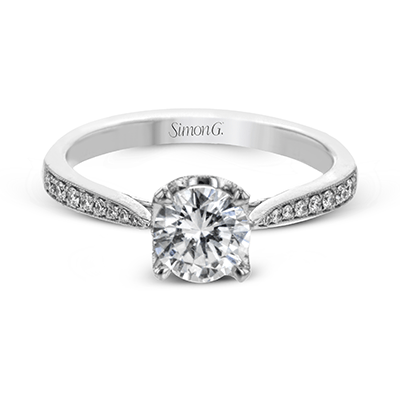 This gorgeous collection of classic engagement rings features the romantic solitaire, splitshank, and crisscross, all of which will dazzle your fiancée-to-be. The longevity of solitaire—or straight style— engagement rings in the jewelry world is attributed to their timeless appeal. 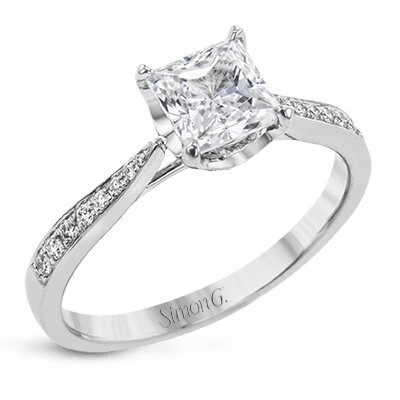 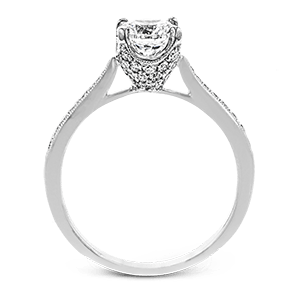 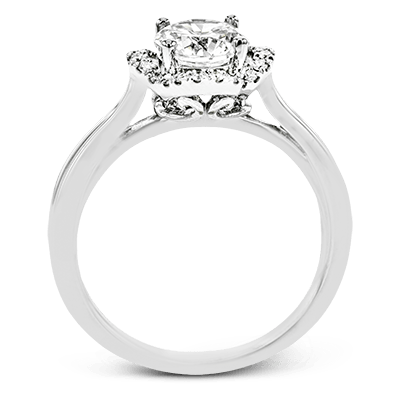 A traditionally slender shank features small diamond accents, allowing the center stone to be the primary focus. 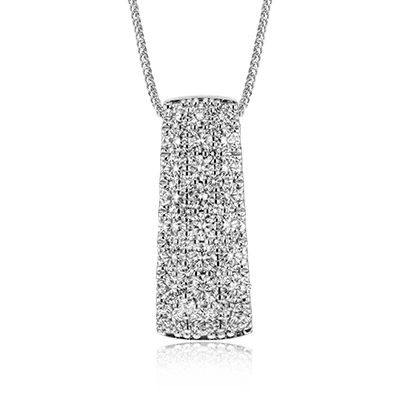 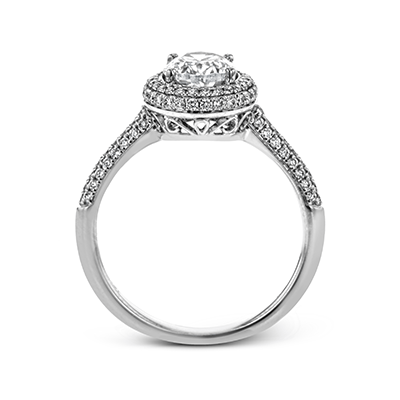 We offer several of these delicate options in this collection, like one that has round cut white diamonds along the shank leading up to the round center diamond. 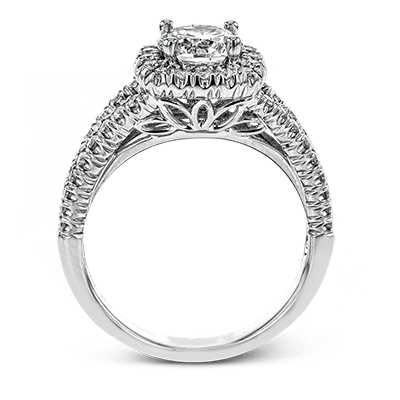 Meticulously crafted white gold filigree decorates the undercarriage of the main stone. 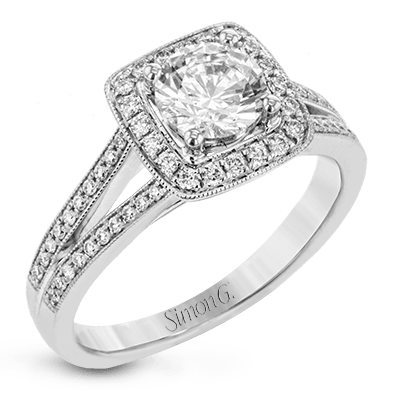 Another is designed with a smooth white gold band with small round white diamonds adorning the head of the ring and a larger round stone at the center. 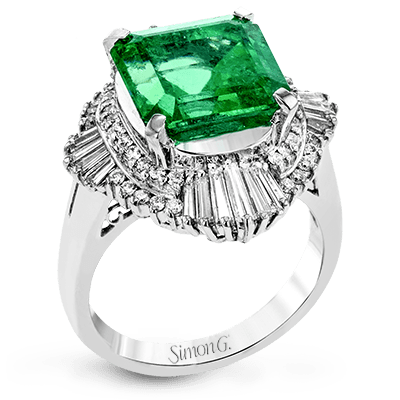 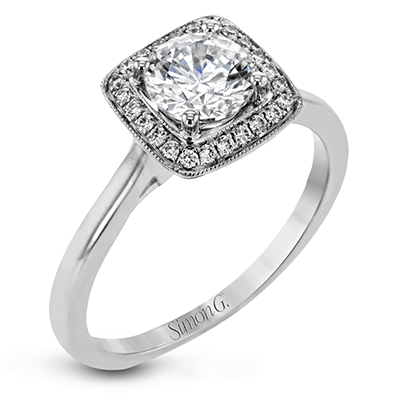 These romantic engagement rings are perfect for those who seek simplistic beauty. 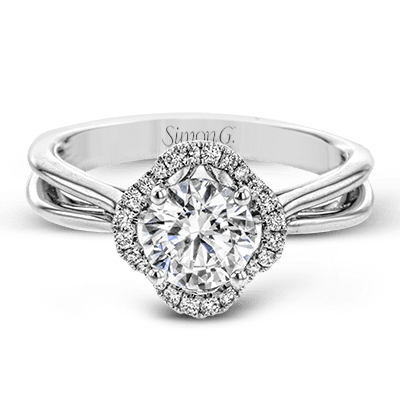 Our Classic Romance Collection also features a number of splitshank rings, which break into two rows leading up to the main diamond. 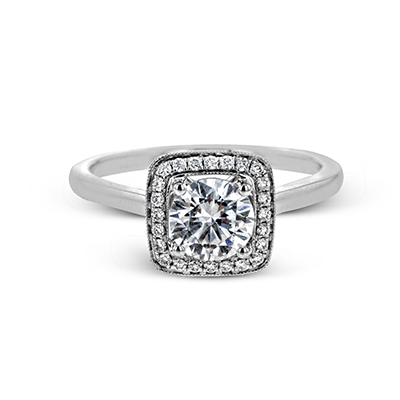 One square halo ring is designed with the splitshank adorned in round white diamonds. 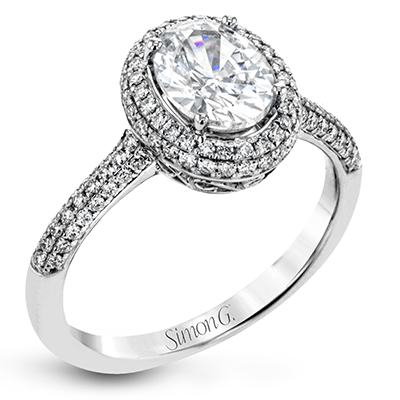 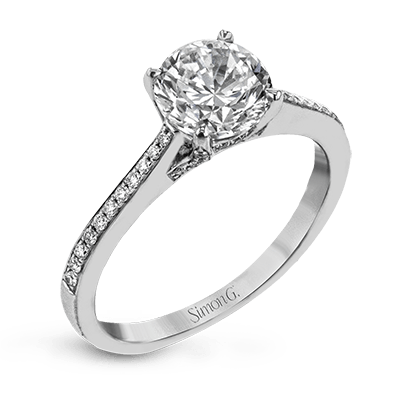 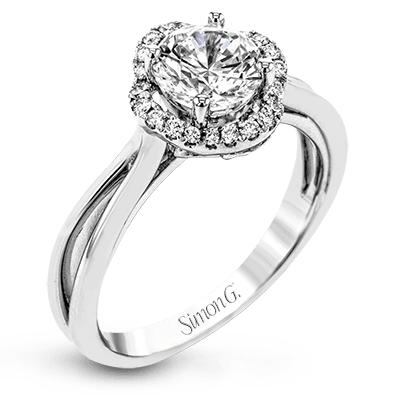 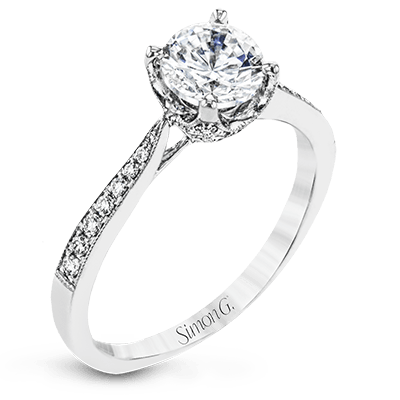 The halo also features round diamonds, encircling the central round cut stone. 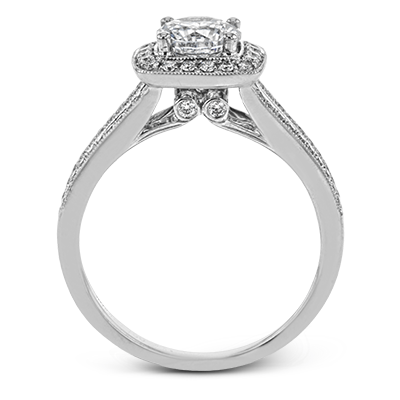 The ring is finished with delicate milgrain edging, giving it an even more classic appeal. 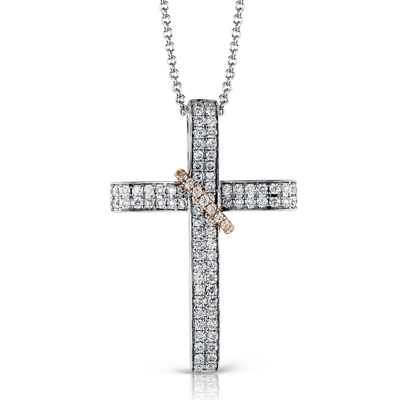 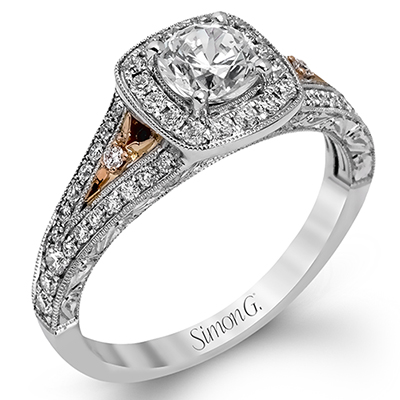 A more dramatic option features two-tone white and rose gold, with the metals swirling together. 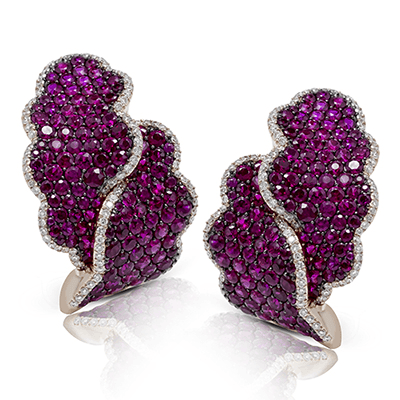 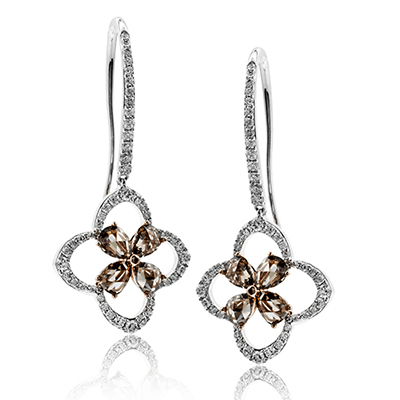 Inside the splits are trios of round diamonds set in rose gold. 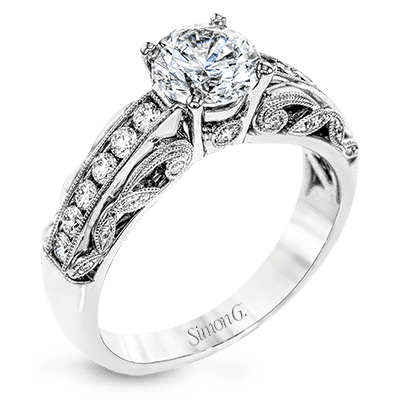 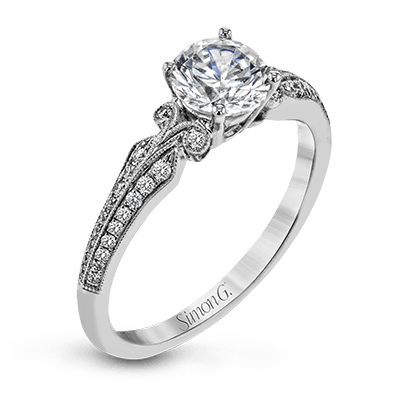 The shank’s design and the prong set round diamond make this offering a truly unique ring. 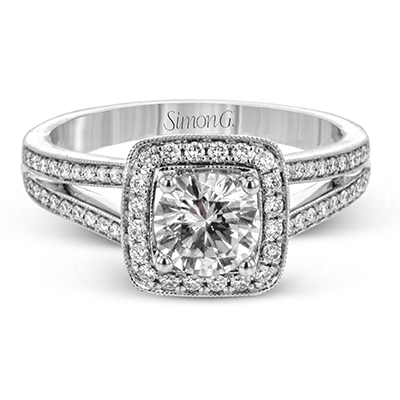 Crisscross, or braided, engagement rings are ever popular options that offer a one of a kind romantic flare. 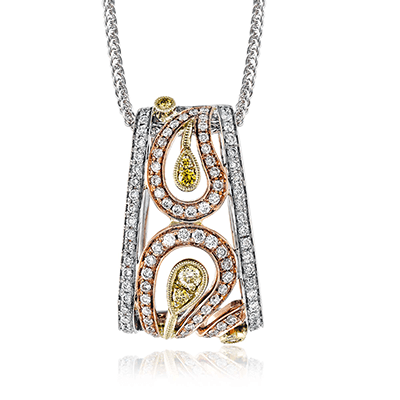 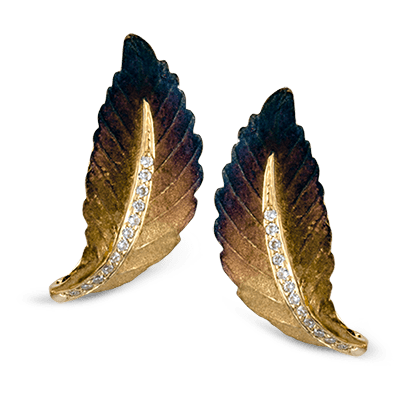 The craftsmanship of these offerings is noticeable and will draw admiration from friends and family. 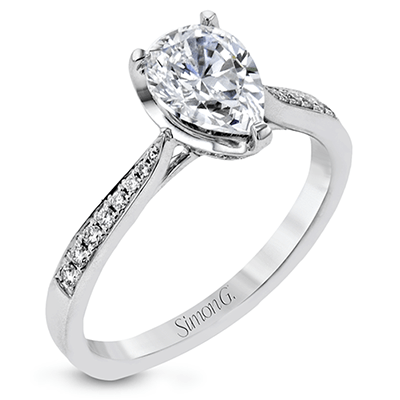 A modern option with classic inspiration has a pear-shaped center stone seated on a slender white gold shank. 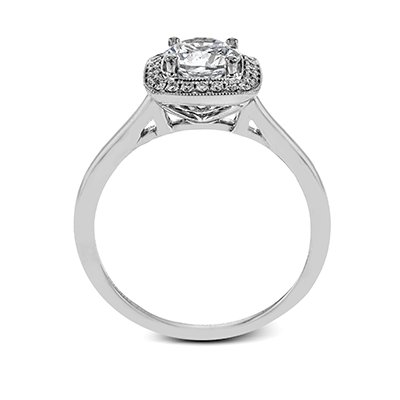 The band features round cut diamonds, with one row overlapping the other for a dimensional and striking overall ring. 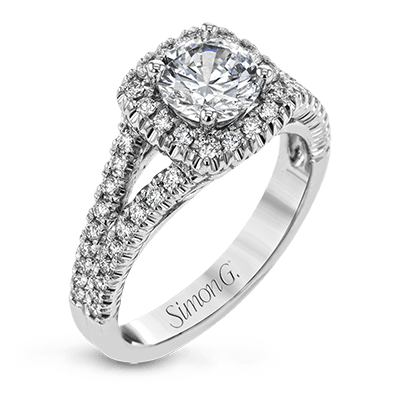 Another rather distinctive ring takes on the lover’s knot and eternity symbol for its shank, delicately woven together for an absolutely dazzling appearance. 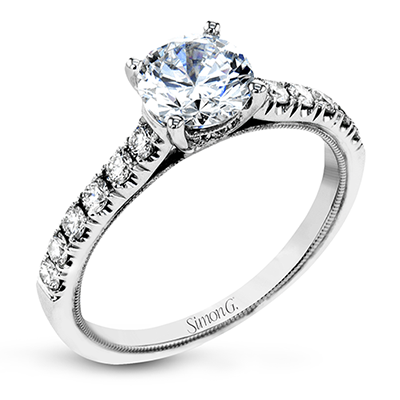 With a lovely round cut diamond at the center, this is the epitome of a romantic engagement ring. 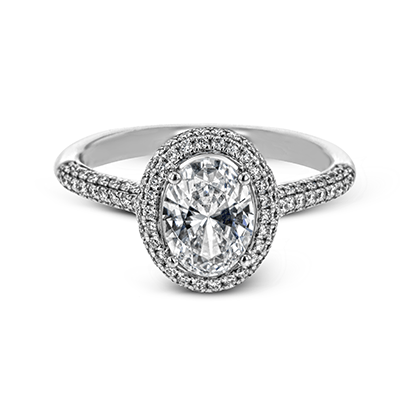 Our Classic Romance Collection features engagement ring styles that have stood the test of time and trend. No matter which style or diamond cut you choose, any one of our classic engagement rings will please and delight your loved one. 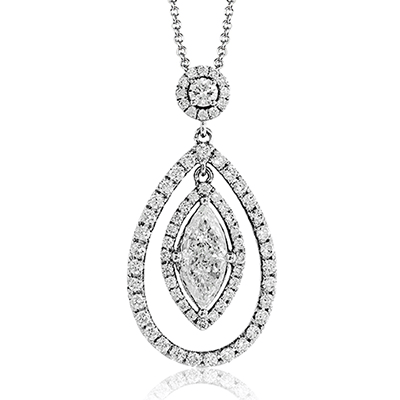 If you have any questions about this collection, please contact us for more information.